When you get into costume, you do it right! Your office holds a cubicle decoration contest, and this year, you and your pod-mates are going all-out, turning your workspaces into Hogwarts! You've hung candles from the ceiling, you've replaced the framed photos with Ron, Ginny, and Hermione, and you've even brought a real owl to perch on your divider (Whoa, your HR is pretty chill!). Don't be caught writing with a muggle pen, then. The shame! 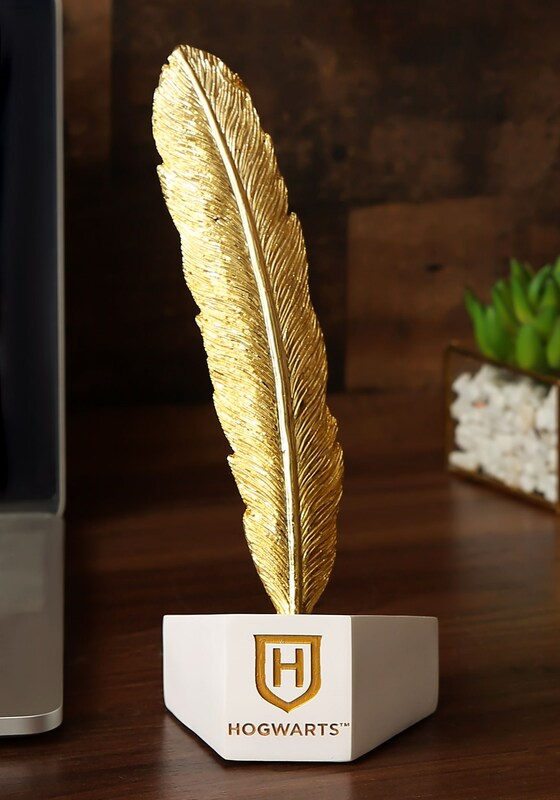 For your Hogwarts transformation to be complete, this Harry Potter Feather Desk Pen and Stand set proves the finishing touch that will win you the contest (of course, the owl probably doesn't hurt either). This stately set looks like it belongs to the Minister of Magic! It's a gilded feather quill (that stealthily conceals your ballpoint pen) and it fits into a stand emblazoned with the Hogwarts crest. Place it beside a pile of parchment and use it to sign off on documents all day! We think that even after the candles have been brought down and your photos have reverted back, you'll want to keep this quill on your desk to infuse your workdays with an air of magic all year long! Of course, you took home the prize for your amazing Hogwarts-inspired desk area! 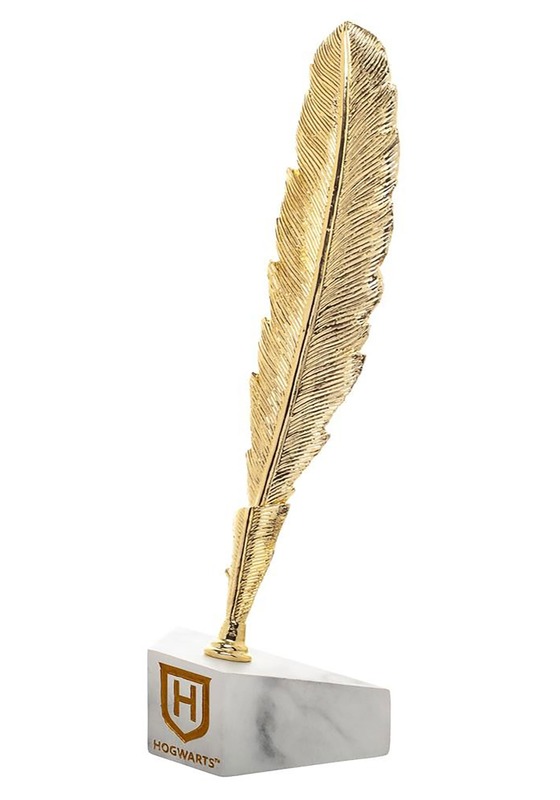 Good costuming—and decor—are all about the details, like this luxe, magical pen!